Search engine optimization (SEO) is an element of web design that businesses must embrace from the start of their online expansion. It is also an essential part of website upkeep that must persistently be pursued for as long as a company wants to remain competitive in the e-commerce marketplace. However, a recent study revealed that almost half of small and medium-sized businesses could be buying into SEO schemes which might do more harm than good for their Google ranking. So what are the common SEO mistakes that SMBs make and what can they do to overcome them and improve search rank in an effective way? 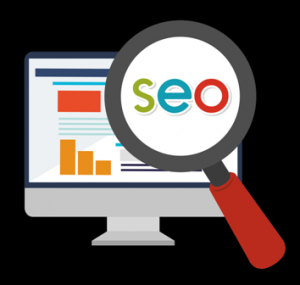 There are many different SEO strategies which fall into the ‘black hat’ category, meaning that they are intended to outfox Google’s algorithms and artificially boost the position of a site. Link building is one of the older approaches to SEO which sits in a fuzzy grey area in the market from an ethical standpoint. And yet plenty of SMBs admit to using agencies which sell backlinks to pages with the promise of their authoritative nature delivering ranking gains. Of course, getting inbound links naturally and even asking for them is seen as perfectly fine by Google, as it clarified in a recent exchange online. However, paying for links is not only bad SEO but could actively result in penalization for a site which in the long term will be very bad for business. The best way to make sure that a business website is capable of staying on the right side of Google while still being user-friendly, functional and capable of presenting an organization in the best possible way is to consider that these two elements are not mutually exclusive. In fact, a site which meets Google’s stringent guidelines for quality will also be better placed to impress potential customers. A clear interface and page layout, along with responsive underpinnings that allow it to display correctly on desktop PCs, tablets and smartphones should be a priority for businesses. Unique, interesting and regularly updated content is also key to SEO success, even when it comes to things like product pages where the temptation to copy and paste manufacturer descriptions may be overwhelming.